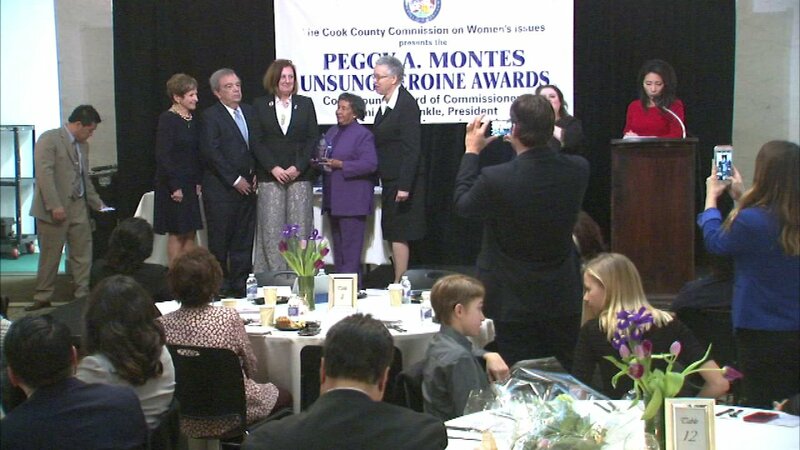 18 women were recognized Thursday in the 21st annual Peggy A. Montes Unsung Heroines Awards breakfast. The awards are given by the Cook County Commission on Women's Issues for volunteer work in the Cook County community. Each honoree was nominated by her district within the county. ABC7's Judy Hsu hosted the event.